There is no doubt and the law is trite as enunciated by Ba’Aba, JSC in Gwandu v. C.O.P. KEBBI STATE (2006) ALL FWLR PT. 294 P. 537-538 that trial courts should not delve into the substantive case at interlocutory stage because if the court is allowed to revisit the substantive issue at any stage of the trial, it will be tantamount to the Judge sitting on appeal on his earlier decision on the substantive matter there by outraging the sense of justice of an independent dispassionate observer sitting in court. It is trite law that an accused is presumed innocent until his guilt is established by credible evidence. The presumption of innocence is a constitutional right of every person as provided in section 36(5) of the 1999 Constitution (as amended) which states that: “Every person who is charged with a criminal offence shall be presumed to be innocent until he is proved guilty”. In Nigeria, personal liberty of everyone is guaranteed and can only be deprived in exceptional circumstances. These exceptional circumstances are in Sections 35(1) (a-f) of the 1999 Constitution (as amended). Though this personal liberty guaranteed under the constitution can be deprived in exceptional circumstances, such accused person is not supposed to be detained for an undeterminable or endless period. The Nigerian constitution makes provision for bail. 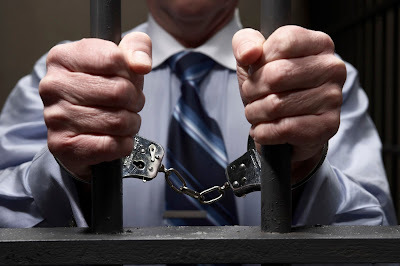 Bail is meant to secure the release of a person arrested, detained or charged with the commission of a criminal offense, in such a manner that will ensure his further attendance or appearance in court for his trial. There have been several arguments on whether the court should look into the fact of a case before it or proof of evidence before it in determining an application for bail. While some lawyers have argued that visiting the substantial issue which is the allegation of the commission of the crime will create bias in the mind of the Judge even before the case against him is heard, others seem to have divergent opinions about this. Whilst not going into the merit of the arguments canvassed by either side, it will be safe to say that there are plethora of case law authorities which have laid down criteria for the grant of application for bail especially in capital offenses, and there is no way those criteria can be determined by the court if the court does not first of all look at the strength of the evidence which supports the charge before it and secondly, consider the probability of guilty of the accused. It is however advised that courts should not delve into the substantive case otherwise; the appellate court will have no option than to order a retrial before another judge of the same jurisdiction. The constitutional guaranteed presumption of innocence is extant and avails an accused person, until properly arraigned, tried and rightly convicted by a court with competent jurisdiction. The law also imposes the duty on the prosecution to contract or controvert the claim of an applicant for bail. Where the prosecution fails to produce strong evidence to contradict the applicant’s claim, the court would have no bases to refuse bail. It must however be noted that the mere fact that the prosecution does not file a counter affidavit to oppose an application for bail is not conclusive to admit the accused to bail on a matter of course. The granting of bail or a refusal lies within the discretionary power of the court which must be exercised judicially and judiciously. The exercise of this power of court cannot be prejudiced simply by the failure of the prosecution to file a counter affidavit or oppose the said application for bail. Similarly, the fact that the prosecution has filed a counter affidavit or opposed the application for bail does not conclude the matter. Rather, these acts or omissions are mere indices that will assist in the exercise of the said discretionary power of the court, one way or the other. Finally, if it appears to the court that there is no reasonable ground for believing that the accused person has committed the alleged offence, but that there are stipulated basis for further inquiry, such an accused person may not be released on bail except upon satisfying the stipulated conditions. DISCLAIMER NOTICE: This blog is a free education material, for your general information and enlightenment purposes ONLY. This write up, by itself does not create a Client/Attorney relationship between yourself and the author of this blog. Readers are therefore advised to seek professional legal counseling to their specific situation when they do arise. This blog is protected by Intellectual Property Law and Regulations. It may however be shared with others parties or person provided the writer’s Authorship is always acknowledged and this disclaimer notice attached.